Don’t wait months or years to discover the true temperament of your new hires. Harness the power of personality assessments to find the right people sooner and integrate new employees into your organization seamlessly. Determine the characteristics required for success in various roles, according to the people who know your company and those roles best. Compare candidates to the benchmark and determine their level of fit. McQuaig tools are designed to help define roles and assess candidates in reference to the roles defined. 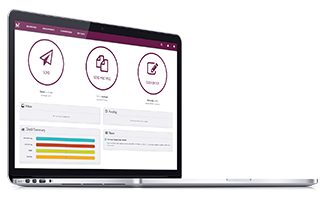 Send candidates simple, 15-minute surveys that they can complete from anywhere on any device. Generate quick and flexible reports based on candidates’ responses, and discover where to probe deeper in your interviews. Plus, you’ll get the behavioural questions to do so. Once you’ve made the right hire, get them up to speed with actionable insights into their working and learning style. With comprehensive profiling from McQuaig, users can understand the ins and outs of new employees, and tailor the onboarding process to fit their needs. We’ve got the insight you need to improve your hiring process. Test it for yourself! 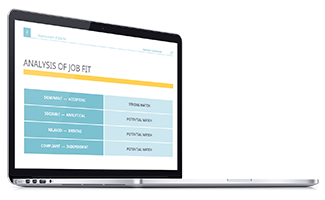 McQuaig Job Fit Analysis – compare candidates to your ideal benchmark for each role to determine their level of fit. McQuaig Online Dashboard – access report to improve employee recruitment and selection.